Here is a loaded question. 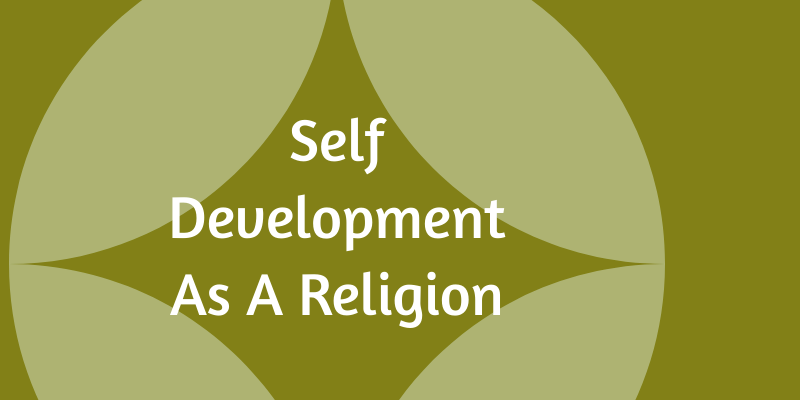 Why do people seek out self improvement? Is there something they are looking to fix within themselves? Are they trying to be whole? Do they get addicted to self-improvement books and courses once they get started? Or are they just looking to belong? In the past, say about 200 years ago, the idea of going to a therapist implied there was something mentally wrong with you. This outlook changed through time as the US lead the way in showing there was nothing wrong with talking to a third party about what’s bothering you. Today, there are a myriad of people one can seek help from to work through general or specific issues. We have mentors who give us roadmaps on how to achieve what we want. All these people are separate individuals and fitting all these people into our lives takes some organising. Ever wonder why we need so many people in our lives. Is it because as humans, we are naturally predisposed to wanting people on our side? How did we manage in the past without all these people? We have always had therapists, coaches, mastermind groups, accountability partners and mentors in our lives. In the past, living in a community was the norm. Generations of families lived within minutes of each other and saw each other everyday. At the end of each week, people gathered in churches, temples, mosques, etc., to pray, celebrate or commiserate. In churches, priests would give a sermon, usually based on a moral from the Bible and mention events of note, e.g. births, deaths, marriages. ‘ ...you said you were going to …and you didn’t ...’ and your peer groups, such as other business owners, act as your mastermind group. These roles were very informal and in a lot of cases, multiple hats may have been worn by the same person. 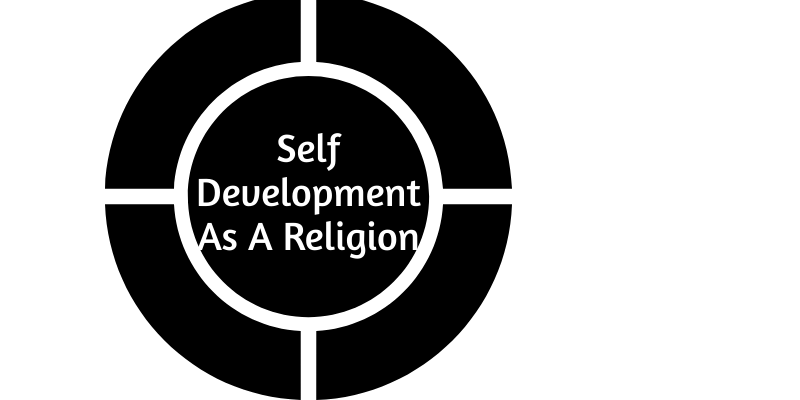 The point being made here is that today we have created an industry known as self development or self help. Those who lead the way in these fields are only providing a service we’ve always had, but hadn’t labelled. We should get over our scepticism of the self help industry and look at what kind of service is actually being provided. What we’ll see is akin to people going to church on a Sunday and talking to the priest and parishioners. 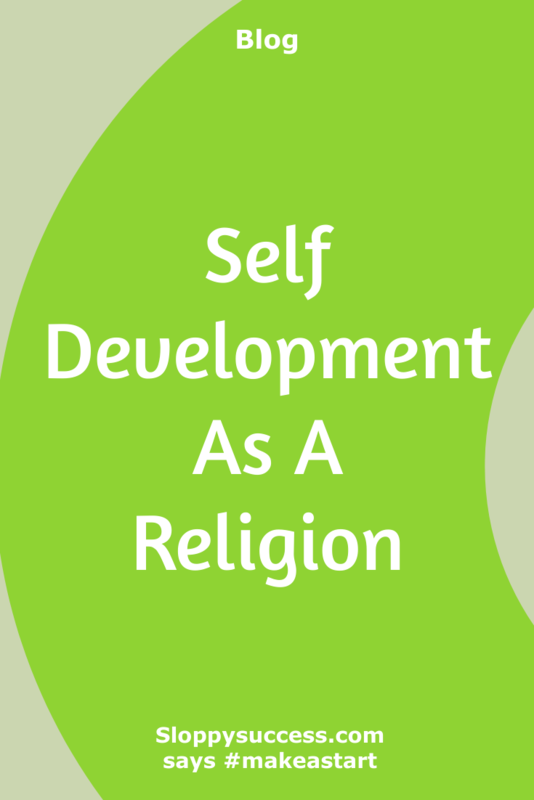 Making a sound argument that self development is a new religion, complete with raving fans.